safety and mobility impaired requirements. element of the council’s strategy. employment growth in Wiltshire to 2026). (e.g. by providing appropriate Blue Badge car parking spaces). facilities to reduce traffic conflicts and delays). parking charges at appropriate levels). f. improve the efficiency of the council’s parking service. h. make Wiltshire a safer place (e.g. by ensuring that car parks are ‘safer by design’). parking revenues to subsidise non-commercial bus services). charges and standards that are broadly consistent with neighbouring authorities). on environmental and social factors such as air quality and community severance. the preparation of the first Wiltshire Local Transport Plan (LTP1) which was published in 2001.
of success across the county. parking in Salisbury city centre. the widespread abuse of parking restrictions through lack of adequate enforcement. 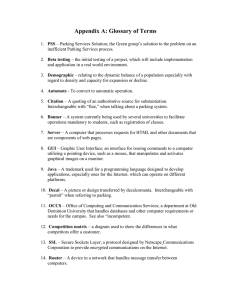 implementation of CPE (see paragraph 1.18 for further details). controls both on-street and off-street for the whole of Wiltshire. as part of the LTP3 at the full Council meeting on 22 February 2011.
carried out by the council. by the general public. Typically users are charged according to length of stay. parks operated by supermarkets and other smaller privately operated car parks. new restrictions were introduced in the summer of 2009.
and Devizes following their reviews. during the summer of 2010.
in order to assess the implication of the introduction of the car parking strategy. problems in the towns that have been reviewed. operated in Salisbury City and on a trial basis in a limited number of streets in Bradford-on-Avon. uniform basis throughout the county (see chapter 6). 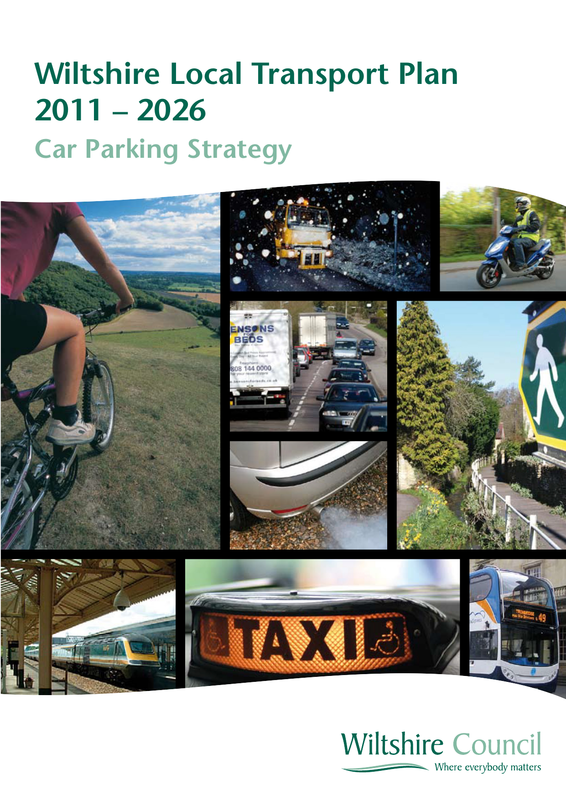 Chapter 2 provides the overall national and local policy context for the parking strategy. Chapter 3 presents the council’s overall policies for car parking. Chapter 5 outlines the parking charge regime in Wiltshire. 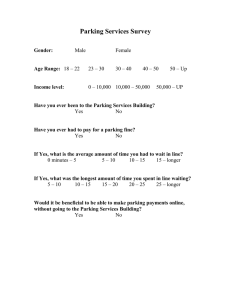 maximum car parking standards and the accessibility questionnaire. the local transport plan, and should complement planning policies on the location of development". good design and the need to use land efficiently”. advocated a maximum provision of 1.5 off-street parking spaces per dwelling. the differing needs of rural and urban areas. PPS4 also provides guidance on how non-residential parking standards should be applied. forms the 'development plan' for Wiltshire. and the workplace levy, will be kept under review. Trowbridge, Chippenham and Salisbury, and along the main commuting corridors". challenges identified as part of the development of the Wiltshire LTP3. walking, cycling, buses and rail. without access to a car. To enhance Wiltshire’s public realm and streetscene. To reduce the impact of traffic speeds in towns and villages. SO10 To encourage the efficient and sustainable distribution of freight in Wiltshire. SO11 To reduce the level of air pollutant and climate change emissions from transport. for their sustainable transport requirements and mitigate their traffic impacts. SO13 To reduce the need to travel, particularly by private car. SO14 To promote travel modes which are beneficial to health. SO15 To reduce barriers to transport and access for people with disabilities and mobility impairment. SO18 To enhance the journey experience of transport users. appropriate balance given Wiltshire’s particular circumstances. of appropriate measures (e.g. Residents’ Parking Zones). management is an integral part. Malmesbury, Marlborough, Melksham, Warminster, Westbury and Wootton Bassett. The ‘Small Towns and Villages’ (Band 4) covers all the other settlements in Wiltshire. are shown in Table 3.2.
it often requires councils to subsidise the cost of providing and managing parking facilities. reducing the number of long-stay spaces and managing the number of short-stay spaces. commuters mainly travel at peak periods when the road network is most congested. capacity on the road network. chapter 4 (e.g. in residential roads, priority will be given to meeting residents’ parking needs) . reflect the availability of alternative, more sustainable travel modes. in accordance with the policy position shown in Policy PS3 overleaf. relevant LTP objectives and targets, including support for council transport services. over the equivalent off-street parking charge. parks are identified in the schedule (under 'Designation') by the term 'Facility' or 'Permits Only'. alternative to parking charges being set by Wiltshire Council. relevant car parks are identified in the Car Parks Schedule. strategies developed to support planned growth. parks, the terms and conditions of which were subject to a review in 2010/11. usage or levels of ownership. transfer unmet parking demand onto residential streets. sustainable transport modes in accordance with an accessibility framework. 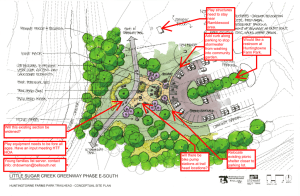 role of local Park and Ride sites. reserved car parking spaces (in line with recognised national standards as a minimum). choices’ measures to help reduce the need for, or usage of, PNR parking spaces. surfaces to reduce surface water run-off). undermine the vitality and vibrancy of small retailers. restrictions and charges consistent with those of council run car parks in the local area. non-residential car park associated with the new development. be encouraged to reduce the overall amount of parking provision and to reduce land take. residential car parking demand (with 2026 as the recommended prediction year). parking in most residential developments. the appropriate mix of parking types (e.g. unallocated, on-street, visitor etc). included in the majority of new residential developments. where any parking overspill can be controlled. setting, distinctiveness, functionality and/or cultural value of a development or local area). spaces (e.g. the use of permeable surfaces to reduce surface water run-off). potential parking overspill onto nearby streets is or can be controlled. More details on residential parking standards are provided in chapter 7. Constabulary was responsible for all on-street parking enforcement. More reliable access to designated loading bays and facilities for deliveries. 1 aim to deal with this issue. be used to help support core sustainable transport services. are reviewed on a regular basis. as outlined in chapter 1.
implement and operate residents’ parking zones are provided in chapter 6.
associated increase in parking demand. inappropriate parking) and local residents and businesses (e.g. noise disturbance). The council will work with visitor attractions to manage the demand for parking. any review of the management of a Park and Ride system. as part of the development of area transport strategies. avoid or alleviate ‘overspill’ parking around stations. use their car to travel into the town’s station). the availability of sustainable transport modes to and from the station. above should be considered as part of a station travel plan. part of a station travel plan. parking can reduce unnecessary driving thereby reducing congestion and other traffic impacts. to avoid conflict and their use as overflow car parking areas. and encouraging the use of sustainable transport modes over the timeframe of the LTP3. significant impact on traffic levels outside of the main urban areas. Opportunities for introducing the workplace parking levy will be kept under review. space close to these areas into additional residential parking. residential premises and there is no automatic right for residents to park on the highway. the implementation of the parking management strategy. 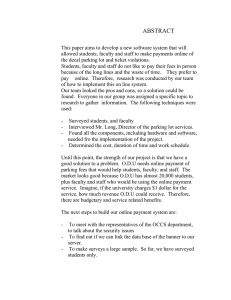 of existing pay on foot, pay and display and text parking. Use of parking charges to manage demand. including the use of technology. displacement of drivers trying to avoid charges. Provision of facilities in line with the kerb space hierarchy. measures). 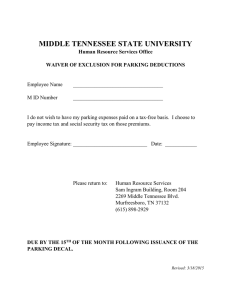 Sale of parking permits for employee parking. Introduction of residents’ parking schemes where criteria met. On-site provision should be accommodated on unrestrained sites. environmental conditions and potential future demand. towns) and that achieving a broad unification of charges within the county would be beneficial. parking and/or to provide revenue to support sustainable transport measures. 18% of the 'radical' charge. hour elsewhere where the 'conventional' charge was applied. into inappropriate areas caused as a result of the imposition of the revised parking charges. introduction of Sunday parking charges elsewhere in the county will be subject to Policy PS3. At present, there are only a limited number of residents’ parking zones in operation in Wiltshire. implement and operate residents’ parking zones across the authority area. Further details on each of these stages are provided in Appendix B.
best practice in parking standards across the country. and this is presented in Appendix C.
to allow for lower a level of provision where specific circumstances can be demonstrated. on a case-by-case basis with the aim of reflecting local circumstances and need. 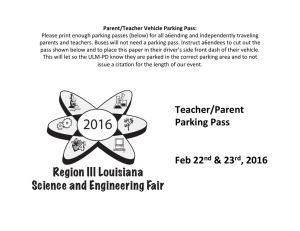 located, the following primary discount would be applied to the maximum parking standard. accessibility of a development site. The questionnaire is presented in Appendix D.
the secondary discount using the percentages identified in Table 7.3 below. potentially reimbursed from permit sales, if there is sufficient uptake. Residents request consideration of a parking scheme or the council identifies a problem itself. agreed. The scheme could be a long stay or short stay problem. owning too many cars, a residents parking scheme should not go ahead. but prevent all day parking in the area. restrictions are required to provide an equal advantage to residents and visitors to park. Decide whether the residents' parking scheme is to address a long-stay or short-stay problem. Identify the appropriate restrictions and time limits based on the user profile. at Stage 2, an assessment can be carried out as to the scope and impact of implementing a scheme. 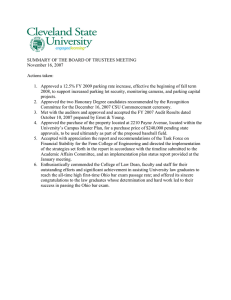 will provide a ranked list of requests that can be progressed as funding becomes available. important in the potential implementation of a scheme. that in the event that they do not vote, the majority response will prevail. majority of 51% or above to carry the vote. Identify areas and stakeholders to be consulted. Determine standard method of consultation. Clearly define the level at which the vote will be carried and make consultees well aware. Stage 6 of this process is another significant stage involving setting permit entitlements and charging. some are attempting to create a county wide fee. Consider effectiveness of county wide or site specific entitlement and charges. 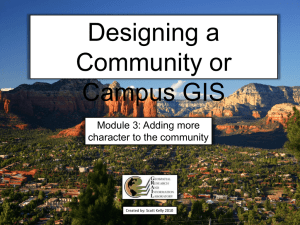 Identify a method to apply entitlements for residents, visitors and businesses. Set a charging schedule which will reflect the site specific needs. objections to the scheme. These must be resolved or overridden before the scheme can be implemented. Collate consultation responses and amend where necessary. Maintain a record of residents' complaints or levels of low compliance. Where necessary, enforce the scheme and monitor suitability of measures. This document was published by Wiltshire Council Neighbourhood and Planning Department.